Welcome Bonus 1st deposit: 100% up to £500. Bonus Info. To qualify for a 100% welcome bonus, at least 20 currency units must be deposited within 7 days of the real account being registered. Wagering The welcome bonus is dependent on 50 times playthrough before it may be withdrawn. For every €10 you wager at Mummys Gold you shall earn 1 Club point. For more detailed information about wagering requirements, terms and conditions, cash backs, bonus rules and maximum payouts, - please confirm with Mummys Gold Casino prior to registering. Flash Casino First connect to the download casino or to the instant flash casino. The instant play casino, is accessible instantly, and there is no download needed. 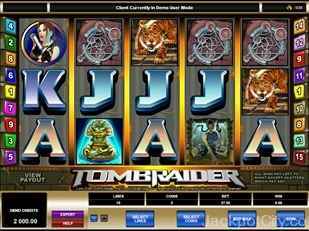 You account can be used on either the download casino or the instant gamble casino. Jackpots Find jackpots like lord of the rings, Mega moolah, jackpot deuces, Caribbean Draw Poker, terminator ii and more. Poker ride has a side bet for additional payouts such as the Progressive jackpot which can be won by a Royal Flush. Promotions Mummy 's Gold' s excellent reputation quickly spread across the Internet thanks to their highly advanced promotions and first class customer service. Mummys Gold provide over 250 casino games, with frequent new releases and exclusive promotions. In order to be eligible for any promotions or bonuses you must be playing with the primary currency used in the country where you have a registered address and are playing from. Loyalty Program If unused casino bonuses remain, that bonus, besides any winnings generated by such bonuses and loyalty points issued, shall lapse after 6 months of date of issue. As a member of Mummys Gold Casino's exclusive Loyalty Club you will earn Club points every time you play! 1,000 points loyalty points will be worth €10. VIP Invites to worldwide VIP events and vacations. Players need VIP membership in order to qualify for these benefits. Withdrawals Players who withdraw a sum of money that is 5 times or more greater than their lifetime deposits across all bayton limited casinos will only be able to withdraw their winnings at a sum of €4,000 for each week. Bonus amounts credited to a bonus account are subject to thirty (30) times playthrough before they may be withdrawn. The maximum withdrawal amount for each 24 hour period is 10,000GBP or currency equivalent. These jackpots are currently avaliable at Mummys Gold Casino. Click a jackpot name to see details recorded by our jackpot tracker, - like historical progress, how often the jackpot is won, win values, average win values and more. Currencies that are accepted in accounts at Mummys Gold Casino are: Swedish Kronor, Uk Pounds, US Dollar, Euro, Norwegian Kronor. Languages avaliable are Japanese, Norwegian, Deutsch (german), Danish, English, Greek, French, Portuguese, Finnish, Swedish, Italian. Mummys Gold Casino accepts Neteller which is among the best methods for fast and easy deposits/ withdrawals at most casinos.